WHAT IS THE PROBLEM WITH PLASTIC IN OUR OCEANS? For wildlife, it can be deadly. Plastic can entangle, injure and drown animals; it can also be mistaken for food and starve animals to death by blocking their digestive systems. For us humans it’s not looking good either. At risk are our wild spaces and oxygen supply as well as our health. The chemicals that plastics leach into seawater have been linked to endocrine disruption and some cancers. With 1 in 3 fish caught for human consumption now containing plastic, it’s no longer a question of if there is plastic in our seafood, but how bad exactly that contamination is for us. We created a campaign to put the problem of single-use plastic waste on the map, and raise awareness of the growing issue of marine plastic pollution. This video focusses on a continent-sized area of plastic waste in the North Pacific named ‘Wasteland’ – the world’s newest and most threatening country. It’s impossible to get the existing 269,000 tonnes of plastic out of the ocean, but together we can stop putting more in. We are tackling the issue of plastics in the ocean at every level, from asking individuals to reduce their plastic consumption to lobbying government for changes to legislation. Sign up to receive your free Individual Action Plan for reducing your plastic use. Share the campaign, find a Plastic Free Community in your area, or chip in a few pounds to help support the project. IMAGINE A WORLD WHERE OUR BEACHES AND SEASHORES ARE NOT BLIGHTED AND STRANGLED BY PLASTIC POLLUTION. PLASTIC FREE COASTLINES IS THAT VISION. IT’S WHAT PEOPLE AND PLANET ARE CRYING OUT FOR AND IT’S WHAT WE’RE WORKING HARD TO ACHIEVE. HOW CAN COMMUNITIES ACHIEVE THIS? By creating a global network of Plastic Free Communities, people are coming together in a collective effort to reduce the flow of unnecessary single-use plastics into the marine environment. 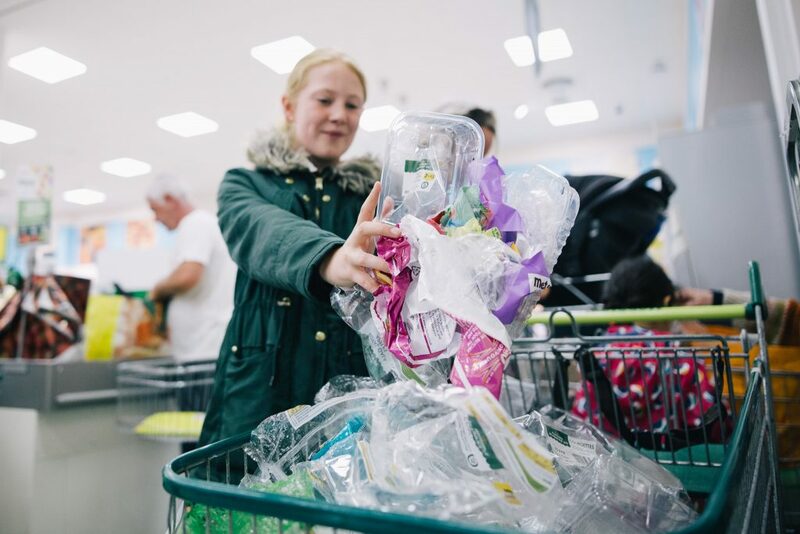 We’re giving everyone a role to play by asking thousands of people to sign up and download Individual Action Plans for reducing their own plastic footprint. We’re looking for Community Leaders to take their towns to the next level and spearhead the Plastic Free movement locally. We are hoping to establish 125 Plastic Free Communities by 2020 where, similar to the Fairtrade movement, there are guidelines that each town will follow to be granted a Plastic Free Community status. Can any community get involved? Yes! Plastic pollution affects all communities. It does not matter where you are as you will be helping to help stop the plastic tide. How long does it take to get status? It varies depending on the size of your community and the level of support you have. How do I define my community area? Stick to your Council boundary as much as you can as this will help with Objective 1. An easily identifiable area could help engage more people. Contact us if you need more advice. Earth Day ‘Mass Unwrap’ a huge success!